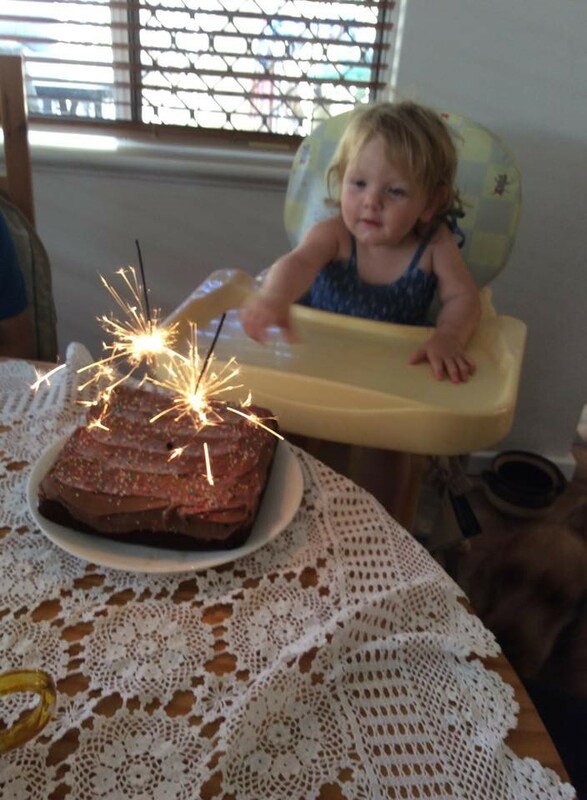 It was my granddaughter’s second birthday on Tuesday. And my other granddaughter’s second birthday on Monday. Two years ago my daughter and my daughter-in-law both gave birth to two wonderful little girls, just a day apart. As you can imagine, there were lots of celebrations. Zoe, in Perth, had one big party on Sunday. Counting the grown-ups, there were about 70 guests. There was a pony for pony rides, and there were tractors. 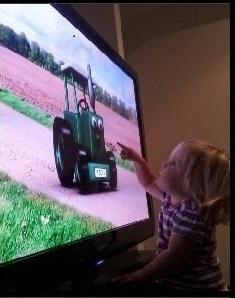 Zoe loves tractors. There was a tractor DVD, the birthday cake was shaped as a tractor, and Zoe got tractors for presents. Aurora is having a week-long series of small family parties. I haven’t calculated the total number of guests who will celebrate her second voyage around the sun, but it will also come to quite a crowd. Aurora has a cake at each party, and lots of presents. Presents: they’re an issue, I think, for our affluent society. Grown-ups like to take care that the presents they buy are appropriate for the child, and the thought that goes into gift-giving expresses love. We grandparents sometimes buy expensive presents because we know that quality items will last longer and be safer for our grandchildren. The internet, with e-Bay and specialist toy-shops, opens the choice of presents wider and wider. There’s a real sense in which we can’t avoid buying presents. On the surface not to buy good presents would appear to be denying our grandchildren. But the end result of two birthdays for our granddaughters is more presents than they can appreciate; a sense that they deserve a never-ending cornucopia of material goods, and a profound connection between material goods and family love. We can’t fix the problem simply by stop buying presents. Unless we are superb at crafts, even making all our presents will not counter the messages of an affluent society. We need to talk about it. We need to raise the issue with our friends, and speak prophetically where we can. We can set out to change the way our culture thinks about gifts. And we need to flood the children in our lives with presence, countering the culture of expensive gift-giving with the valuing of time and attention lavished on the children we love.